The jury awarded a runner-up prize of €200,000 to Eden Full, 19, of Canada, whose SunSaluter, a $10 bamboo and metal rotator, boosts solar panels’ effectiveness by 40 per cent by tilting them towards the sun. 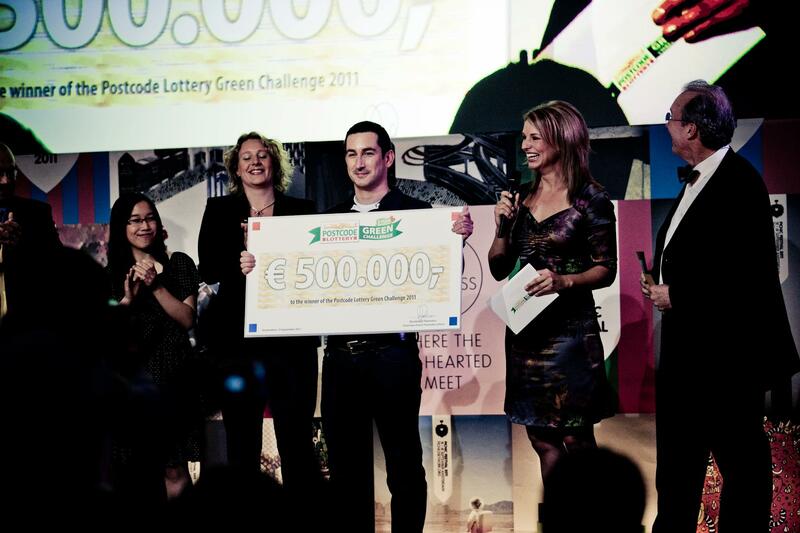 The Dutch Postcode Lottery received 717 entries from 81 countries in this year’s Green Challenge. Six were named finalists – two from the Netherlands and one each from Sweden, the United Kingdom, Canada and Australia. The actor Brad Pitt wished the finalists good luck in a video message. William McDonough, guru of sustainable building and production, announced the winner’s name. Too often, brilliant green ideas stay on paper. This year for the fifth time, the Postcode Lottery Green Challenge is helping some of them to reach the general public. The global competition encourages people to think creatively about fighting climate change. Previous winners have gone on to achieve success with their innovative products and services, thanks in part to the publicity and network around the Postcode Lottery Green Challenge.